1 What is monofilament fishing line? 2 When to use monofilament fishing line? 3 What is the Best Monofilament Fishing Line on the market? Before choosing Best Monofilament Fishing Line, you have to know what is the monofilament fishing line. Monofilaments have been around for more than 50 years now, and as the name suggests, Monofilaments fishing lines are made from ‘mono’ or single strands of materials usually nylons. Most fishing lines you will find today are actually monofilament fishing line because they are technically cheap to produce and can be produced in a range of diameters with different tests (Tensile strength). Often, different nylons are blended in a multi-polymer to give a varying degree of abrasion resistance, strengths, stretches and other essential attributes necessary to give an excellent fishing line. Monofilaments are used in a wide variety of fishing applications, but their general characteristics make them not usable in some fishing application. For example, deepwater fishing: If you use a monofilament fishing line on the deep water fishing, they will absorb water and stretch which will result to lose knots and decreased sensitivity. However, if you are using them in a reef territory, where there are chances of being snagged, then they will benefit in a huge way due to their abrasion resistant features. If you are trolling lures, the stretch of monofilament fishing line will act as a shock absorber every time the lure gets hit. 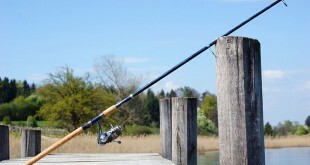 So, simply the usual situation to use them are when bait fishing, trolling and when fishing around snags or pylons. 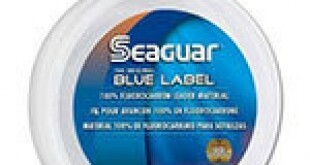 What is the Best Monofilament Fishing Line on the market? Each and every aspect of the fishing line plays a major role in its overall performance, which is why when looking for a fishing line, it is imperative that you consider each and every feature on the line. 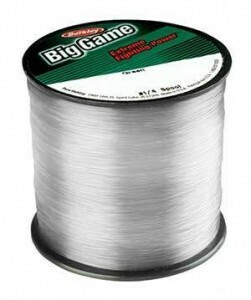 One the most popular and the best monofilament fishing line which has actually dominated the fishing line market within the short time of its existence, due to its near perfect feature needed by any angler is Berkley Trilene Big Game Monofilament Custom Spool. It’s incredibly affordable, user-friendly, sturdy and many anglers who have bought it are very impressed by its overall performance. Even though the Berkley-Trilene Big Game Monofilament is one of the most affordable lines available on the market today, its performance is incredible. It’s one of the fish lines that is strong and with low stretch that offers good sensitivity for trophy fishing as well as inshore finesse. It one of the Monofilament that doesn’t take damage easily even in the worst conditions, and most of all, due to its superior coating, it’s a very gentle on line guides. This unit features extreme power which makes its one of the most versatile line on the market today ideal where strength is the priority. Its larger diameter reduces the amount of line you can spool up with, making it ideal for pitching and flipping. Its stiffness features allow the angler to pull through heavy cover with confidence. But on the other side of the board, the same stiffness that makes it right for bait casters makes it downright bad for spinning gear, but overall, it’s a great line for big game fishing. The Berkley-Trilene Big Game Monofilament features improved tensile strengths, controlled stretch and impact resistance that add fighting power. This means that it can be able to withstand a sudden impact of a big fish or hard hook set thrashing violently at boat sides. The unique molecular bonding of this Monofilament fishing line Makes it’s strong and with higher resistance to breaking especially due to nicks in the line. Even under worst condition, such as rubbing against barnacles, rocks, stumps or other underwater structure the Berkley-Trilene Big Game Monofilament Custom Spool resist breakage which makes it a perfect choice for a professional angler. Many at times, a majority of line breaks usually occurs at the knots, which weaken the line by as much as 50 percent. But the line with the least loss of strength at the knot usually has a spectacular tensile toughness benefit. The Berkley-Trilene Big Game Monofilament has an outstanding knot stretch which ultimately makes it sturdy and with a durable holding power which is why this is popular monofilaments all over the world. There are few complaints that it has a tendency to coil up by itself. While the Big Game cast consistently, it’s not the smoothest in the market. Some anglers who prefer thinner diameters may not prefer it. How do I know what LB test I need? This will depend on the estimated weight of the fish you are trying to catch. For example, a line rated 6lb shouldn’t break until at least 6 pounds of pressure is on the line, the same happens with a line rated 20 lbs, it cannot break until a pressure if 20 pound is on it. I want 1.5 lbs for fishnet, which size should I use and how many spools? This line is specifically designed for fishing reels not for nets. 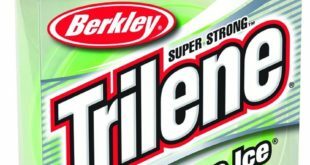 This The Berkley-Trilene Big Game Monofilament is surprisingly one the best lines for applications where strength is the priority. You can count on it to bring any big fish onto your boat without any frustration. If you prefer hi-stretch lines and like smooth casting, then it may not be an ideal choice for you, but if you are an angler, who prefer consistent performance with your fishing line, then you should consider this monofilament. i,m an older professional fishing guide who would like to try and reviews different fishing lines without charge to mfg. i am interested in supplying my clients with the best product possible.